Low birth weight and preterm infants are extremely vulnerable to a variety of problems, including difficulty thriving and maintaining their blood sugar levels. Some babies have a low birth weight because they are premature, while others have a low birth weight even though they are born close to term. In addition to the challenges faced by low birth weight infants, preterm infants also might struggle with breathing independently and a host of other problems unique to premature babies. Premature babies are born before 37 weeks gestation, or a full three weeks before the estimated date of delivery. A preterm birth might have a variety of causes, including premature contractions or premature rupture of the amniotic sac. 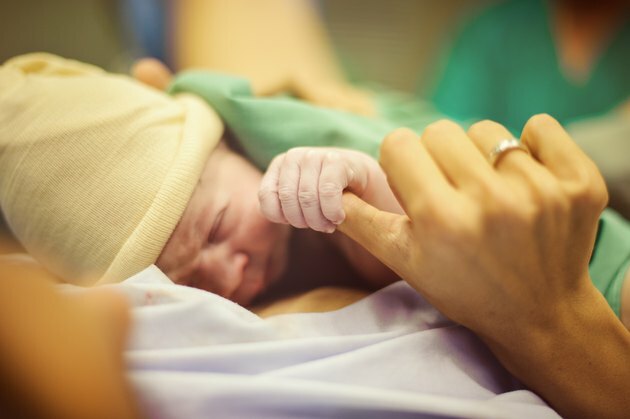 Cervical incompetence, which can be the result of surgery or other procedures on the cervix, can result in rapid and painless dilation and delivery of a premature infant. Certain clinical conditions might trigger your doctor to recommend elective delivery of a preterm infant. While rare, such situations might include multiple gestation, severe chronic hypertension, poor fetal growth and preeclampsia. A baby weighing less than 2,500 g, or 5 pounds, 8 ounces, at birth is considered to have a low birth weight. While many of these small babies also are premature, some term babies might be born with a low birth weight. Causes of low birth weight include maternal hypertension, smoking, drug use and poor maternal weight gain. Older mothers, teenage mothers and poor mothers also have a greater risk for delivering a baby with a low birth weight. Premature infants can experience a range of medical problems. The lungs are one of the last organ systems to mature and preterm babies might significantly struggle with breathing independently. Very preterm babies require intubation to survive. A very preterm baby also is at risk for bleeding into his brain. These babies are susceptible to infection and might struggle with learning disabilities as they grow. Low birth weight babies born at term fare better than preterm babies of any weight, as their organs are mature and they often can eat, maintain their temperatures and fight infection better than their premature peers. Preterm and low birth weight infants struggle with adapting to life outside of the uterus more than babies born close to their due dates at healthy weights. While some causes of preterm and low birth weight infants are beyond a mother's control, you can follow some recommendations to maximize the chances you will have a normal size term baby. If you smoke, quit. Consider seeing a medical professional before becoming pregnant. If you already are pregnant, establish prenatal care early in your pregnancy. Eat a wide variety of nutritious foods and discuss any problems or concerns you experience during your pregnancy with your doctor or midwife, such as decreased fetal movement or poor appetite. What is the Ideal Weight for a Six-Week-Old Baby?